Finally! After two weeks of continuous translating, the volunteer packages are translated and we take a day off. Last night we’d been working till 2:00 am to get everything ready and send it by email. This morning I sleep until late morning, get up, have breakfast, meet the American boys who just came back from their trekking and thought of ways to spend the day. 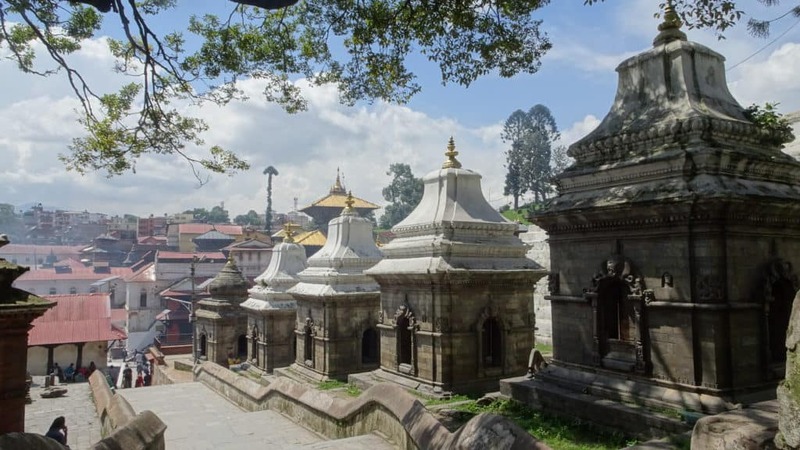 We decide to go to Pashupatinath. I’d been here before, but this sacred place for burials and religion is such an interesting blend of culture and religion that I wanted to visit it again. Possibly we could speak with a baba and learn something new about his way of life. I was excited to finally go out again and after a tasteful late lunch -an amazing curry with garlic bread- it was time to adventure! We took a taxi and the friendly driver managed to drive us past the checkpoint. This saved us the 10 dollar entrance fee (thnx!) Now the exploration could start. Like last time, the site was smoking as bodies were burned. I first observed the white walls and temples, and walked past a musical performance before we went closer to the funeral site. I leaned against a short wall, overlooking the burning bodies, observing the people and the sacred temple and site. I experienced several things as I got many different impressions; an intense feeling of peace and sadness took over me. 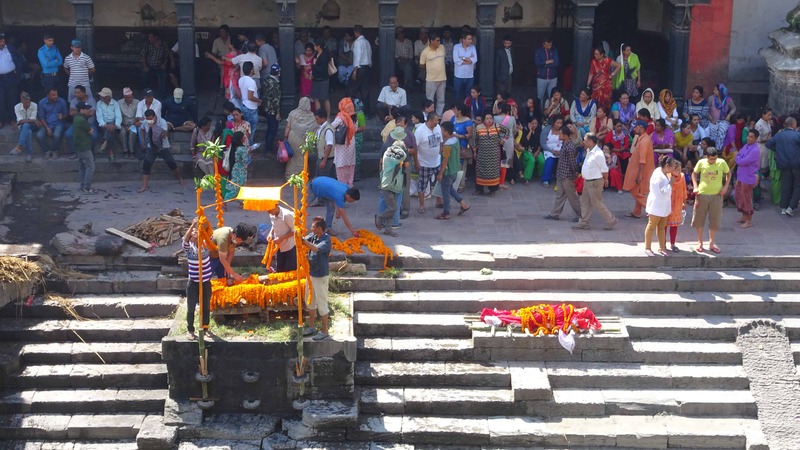 Peace because of the way people gather in Pashupatinath, watching the ritual burial scene. Even peace because some of the relatives seemed to be in acceptance and peace about this goodbye. Sad because of the same ritual, that also causes pain. It’s painful saying goodbye to your loved one, consumed by the orange, flaming fire. Smelling the person for a last time, but with a completely different smell than usual. The fire keeps on burning until nothing is left. And also sad to see the same diversity of people gathering in one sacred place. 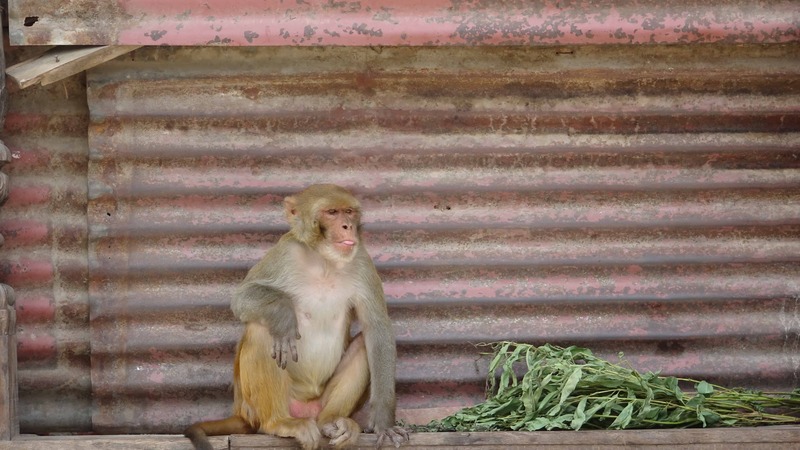 There is place for relatives, funerals, visitors and inhabitants of all types, including many monkeys. There are people dressed according to ritual and customs; like the way the sons or close family of the deceased shaves their heads, the way the baba’s cover their faces with ashes or orange cloth, the way they beg for money by taking pictures or walking around with their metal box. The visitors who are wearing a variety of clothes and the poor, the mentally distressed, the crazy who also found their way to the holy site and sometimes live here. We spoke to a man who took care of a young girl. He told us how his hard work didn’t pay off and how he lived on the street now. The young girl was playing on the paved street, without wearing anything but a shirt. She seemed to enjoy playing around. Or the aged lady who made a rather absent/ confused impression, talking to herself and shouting improper language while she walked on the streets. 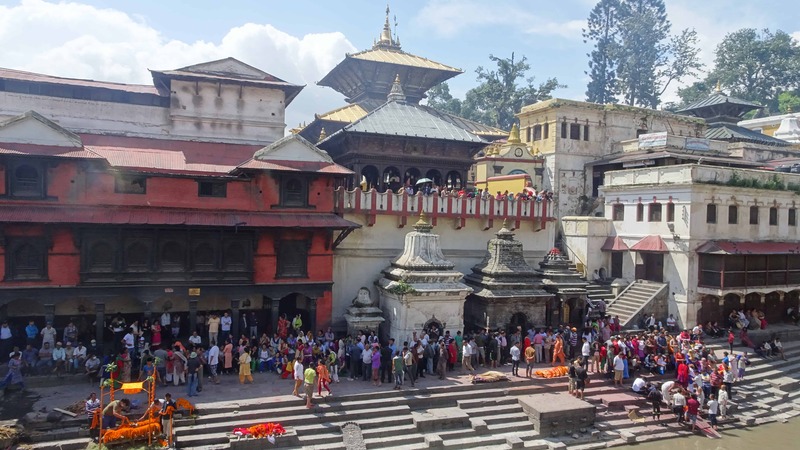 It was a strange diversity of people, all accepted on the holy site of Pashupatinath. 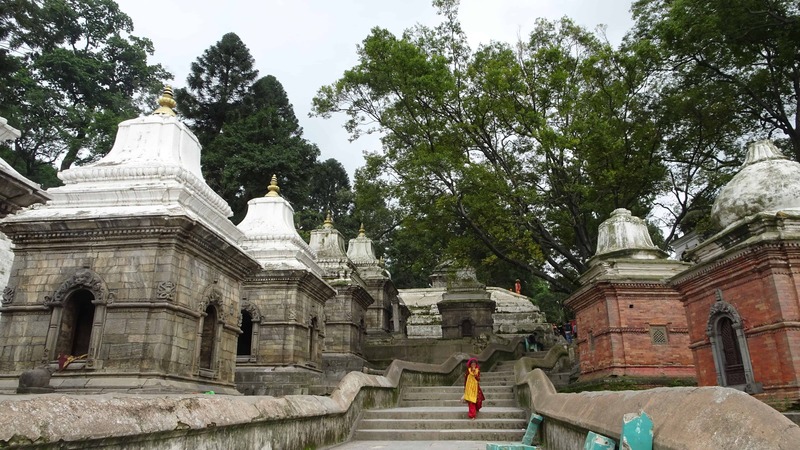 After I observed the funeral, the people and my own emotions we walked further, past many small temples. 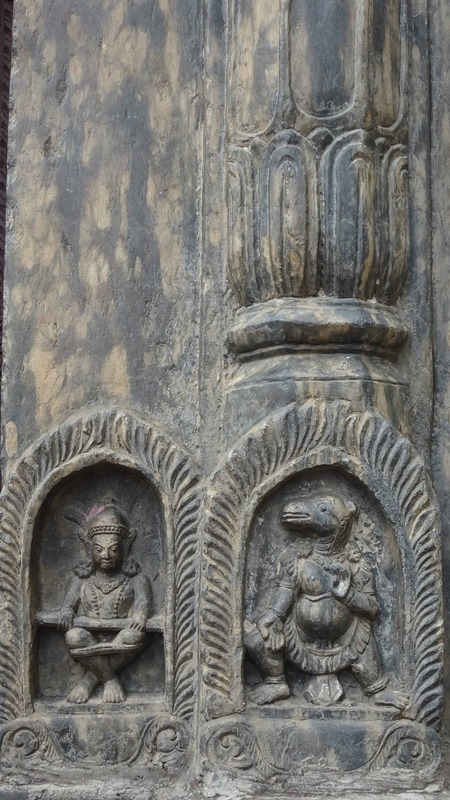 I saw small deities carved in many temple decorations and took a moment to take them in and to take pictures. Meanwhile a kind Nepali lady addressed me to take my picture. It was very funny as I replied in my minor Nepalese. She was clearly surprised and we both enjoyed the situation. Then we walked further. I saw more and more monkeys walking around and thought back of last time’s incident, where a monkey had taken one of our drinks and refused to give it back. It had been quite scary as the monkey didn’t refuse to show this teeth while making sound. I decided to avoid them a little and hoped they’d stay away this time. We reached the small temple where Shreejan’s baba friend lives. It was crowded, there were many visitors today. Nevertheless space was made for us and we sat down for advice. The conversation started slowly, easily with questions over Phatmassambat and Shiva. Then over spiritual experiences and the question how to determine if they are true or not. Baba first replied that most experiences are created in our heads, as in fantasy. But also mentioned that such happenings can be experienced when one has higher spiritual connection. We discussed about karma, the illusions of life, about eternal beings, about spirits, angels and demons. We talked about fear, love and sorrow. And shared with us that fear should never withhold you from anything. And that overcoming fear often leads to great knowledge and insight. It was quite the interesting conversation. When most things were said there was time for laughter in the little temple that functions as baba’s home. We laughed, I sang melodies, asked questions and shared stories. I asked baba how long he’d been living here and how one get such a home and he kindly explained that he’d been living here on and off now for the past 7 years, and that the temple is given to him by a large baba community. He explained to have many temples/ houses like this spread over Nepal and India and that the baba community takes good care of its people. He also explained that his disciples took care of the place when he was out. Before we left his little house baba spoke about the most important thing and motivator in live; love. The baba had been very friendly with us and had shared lots of thoughts. Time passed by and as we’d been sitting on the stone floor my buttocks felt pretty stiff and uncomfortable. It was time to go. 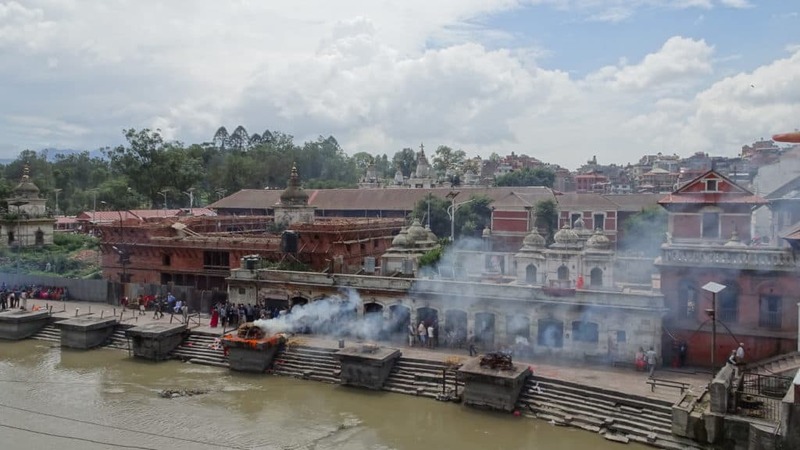 We left the small, religious home and had exactly fifteen minutes before the special prayer for Lord Pashupati (Shiva) started. We walked to the square opposite to the golden temple and took place to watch the ritual. 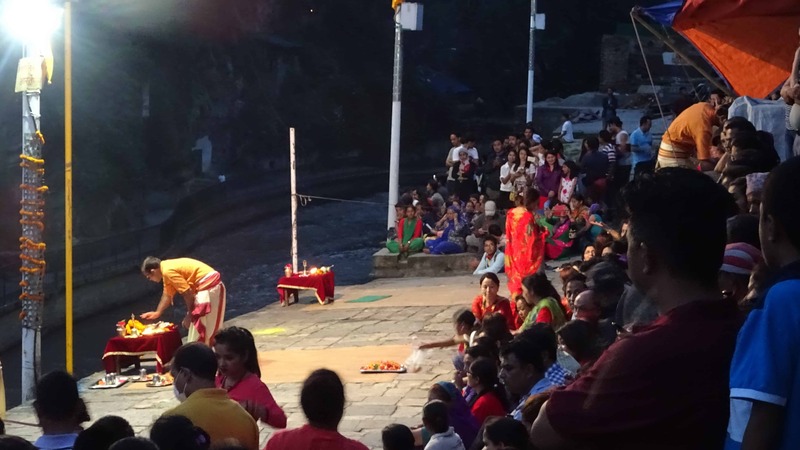 More and more people gathered together and waited for the ritual to begin. It took a quite some time, but then it finally started with a blow on a shell. 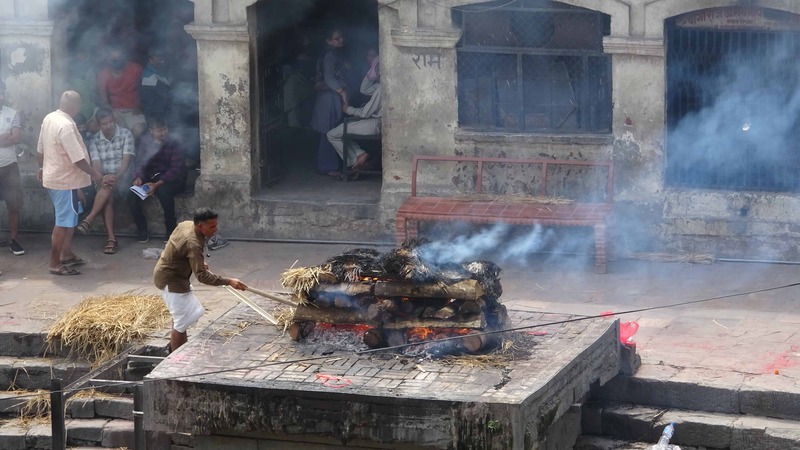 Music played, people focused, and the ritual leaders started to burn incense. 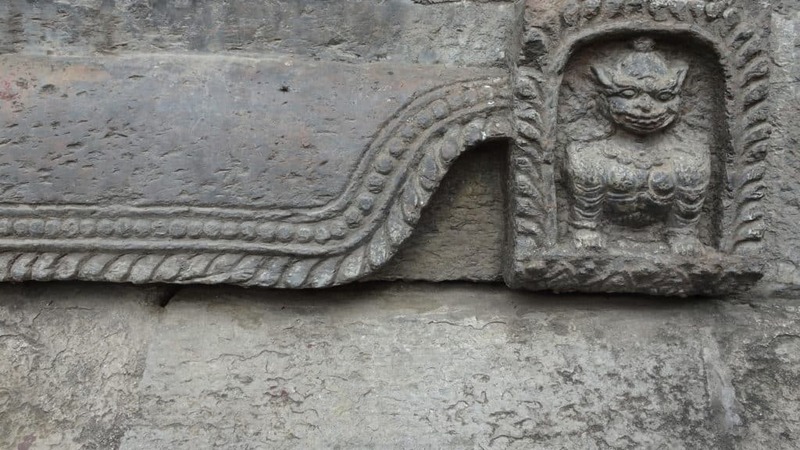 They took the incense around, facing all north, east, south, west and the temple. The way they moved the incense was lovely. Very pure, calm, generous, gracious. It was the start of a 30 minute ritual. Offerings were made to the water and fire followed. While the ritual leaders offered the fire -in the same lovely way as they did with the incense- prayers were sung and people offered candles. An older man stood next to me and started singing the prayer and knew I was listening to him. 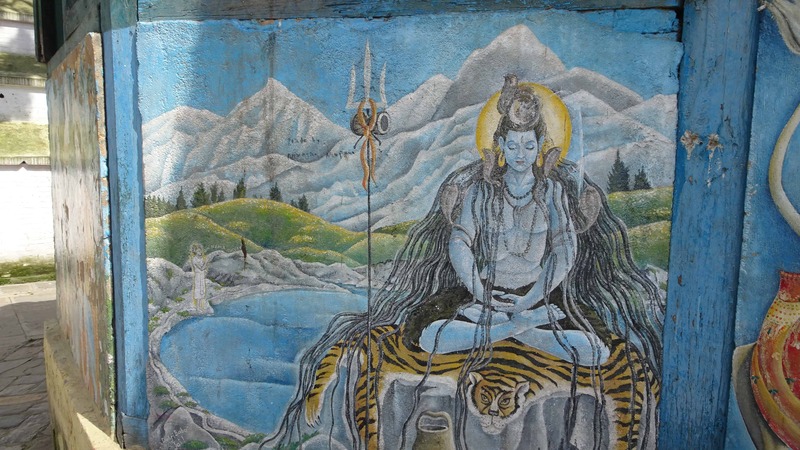 He sung and sung and explained to me that this prayer was for Lord Shiva, god of all gods. It was a prayer about love and happiness, and that was exactly what I experienced. It was so beautiful to see so many people gathering together -every evening!- to sing and pray together to the god in the golden temple. I followed the old man’s example and put my hands together in front of my chest while I observed the ritual, overlooked the people; some of them were dancing and singing, and listened to the prayer and the old man’s voice. We had a short conversation about genuineness and he told me straight that I am a genuine person. That was so lovely. I didn’t tell the man, but I knew he was genuine too. I could tell from the way he sang from his heart and the way he spoke about his god and religion. 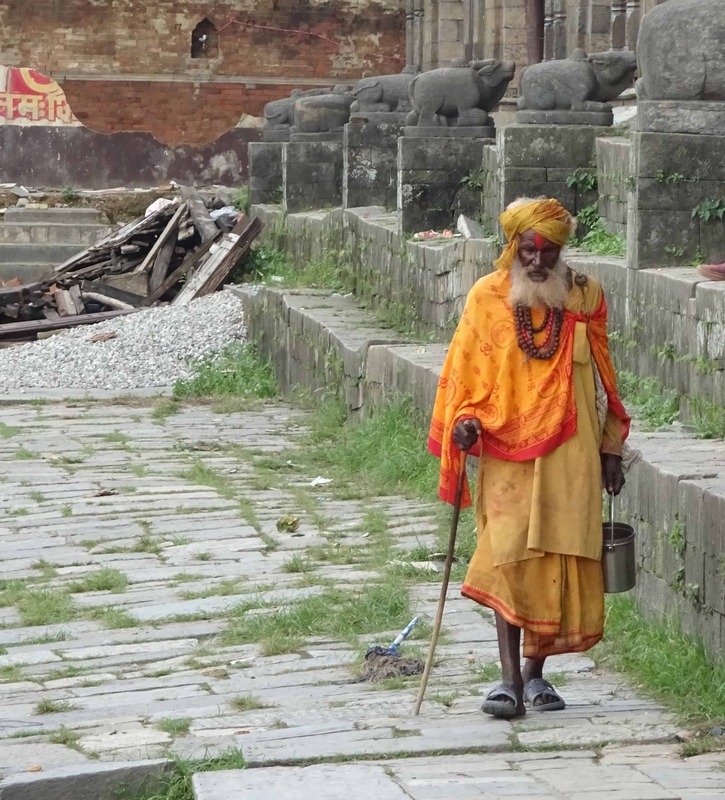 I wondered if the man came to Pashupatinath every night to pray. The way he prayed from his heart told me he did so. Meanwhile the ceremony continued with large fires and occasional shouts of people while raising their hands to the temple. It was beautiful to observe and I felt very lucky. And although many people left after the fire ceremony was over, the three of us stayed to the end.